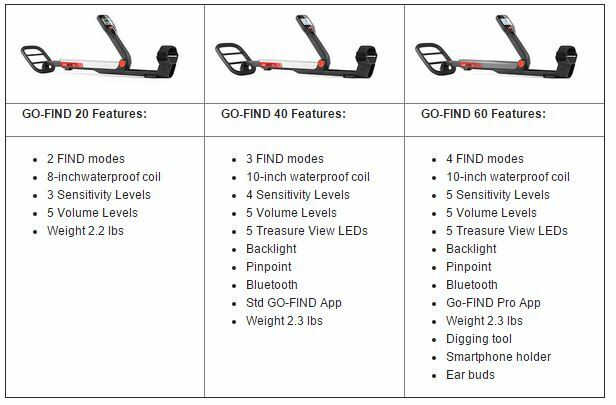 Minelab has done it again with its brand new Go Find series. Designed to surpass any other low price detector on the market and allow anyone to pick up the hobby easily without a big investment. The Go Find is simple to use and super compact. Super easy to use and even easier to operate. Light weight, simple controls and compact. This machine would be great for your first go to see if you get hooked. With this machine we are sure you will. This machine is also great for kids looking for adventure in the hobby. The Go Find also comes with the Go Find app. Free download in the app store. 3 models available: 20, 40 & 60. Watch how easy the Go Find is to fold up and go!